Since 2012 Vumelana received over 300 enquiries requesting support to develop Community Private Partnerships. To date, fourteen investment partnerships have been concluded for communities with the potential of attracting some R500m of investment and create or save more than 900 jobs. Click here to read more on the projects that Vumelana have supported to date. Vumelana: To agree with one another, make a contract with one another, support one another. 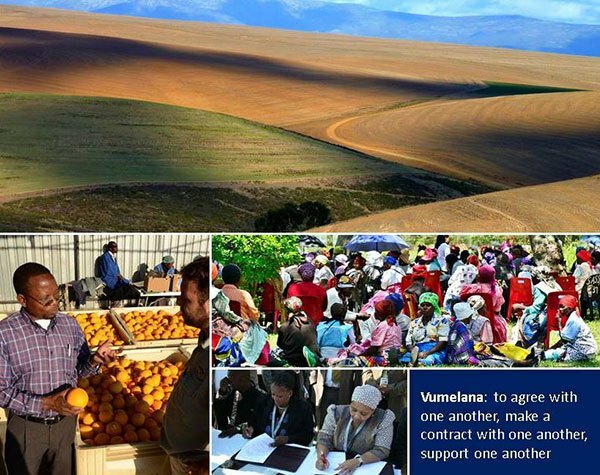 Vumelana supports the development of commercially viable partnerships between commercial partners and communities that acquired access to land under the Land Reform Programme. The model is designed to provide transaction advisory services at no cost to the community and recover the cost from investors only if deals are successfully concluded. The reimbursed funds are used to finance governance and organisational development support to the community. Step 1: Applications for funding are received from communities, government departments, advisors or investors. Step 2: A co-operation agreement is signed with the community setting out the basis of the relationship between the community and Vumelana. Step 3: A transaction advisory team is contracted to structure an agreement in terms of which the community makes the land available and the investor undertakes to finance and manage operations. Step 4: The transaction advisory team procures proposals from potential investors which show how the land will be developed to create jobs, income, skills and other benefits for community members. Step 5: Once an agreement is signed, the investor reimburses Vumelana for the costs incurred by the transaction advisory team in putting the deal together. Step 6: The reimbursed funds are used by Vumelana to finance support for the Communal Property Institution for a period of up to two years. 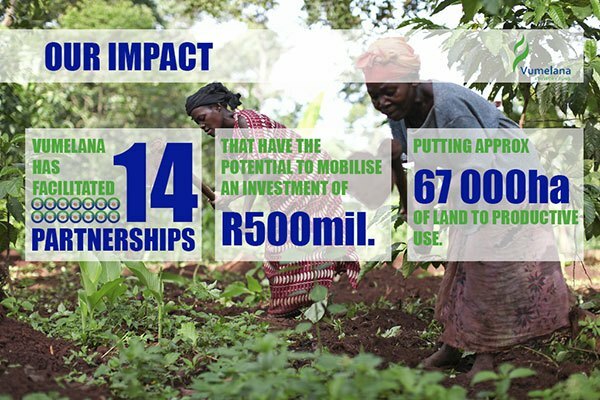 What could happen to land reform in South Africa over the next 15 years? 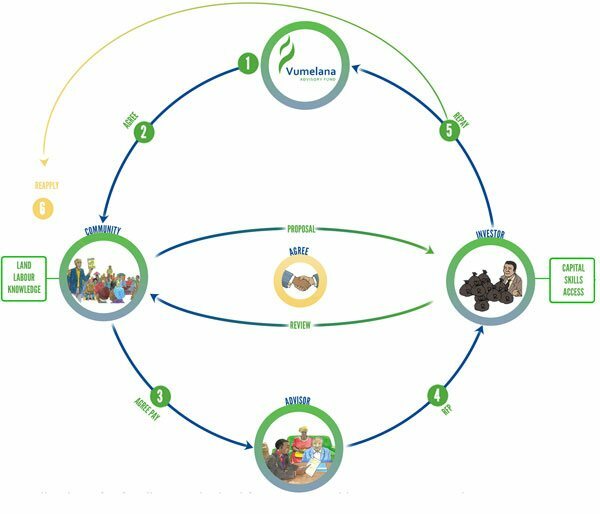 Vumelana completed land reform scenarios about what could happen in South Africa by 2030 and are designed to trigger an open and constructive search for strategic responses to thorny questions of land reform in South Africa. The four scenarios tell stories of how South Africans might respond to the challenges and uncertainties they face about the future of land reform. They are differentiated by the world views of different stakeholders about the meaning of land. In each scenario, stakeholder action influences the character of land reform and shapes who ‘wins’ and ‘loses’ in the land reform stakes. Click here to read more on four scenarios for land reform in South Africa.